It's kind of amazing what you can accomplish with some uninterrupted time. I've been driving my 510 around every sunny day lately, but still just in my neighborhood. It's not legal yet -- still no taillights, turn signals, and my doors don't have windows. And windshield wipers would be nice. But the engine is doing quite well. After last month's exhausting engine mishaps (leaks, sheared bolts, blown water pump gasket, etc. ), it sure is nice to put some successes under my belt. A couple of weeks ago, I yanked off the water pump and applied some gasket sealant to keep it sealed up properly and reinstalled it. I waited a couple of days to let the sealant cure (like the instructions said), and then fired the car up. Everything seemed fine... until the car warmed up, and coolant started spraying out every side of the water pump. Literally every side. Apparently, I grabbed the wrong tube of gasket sealant, and the stuff I used wasn't meant to hold up to high temperatures. So once the engine warmed up, the sealant melted. 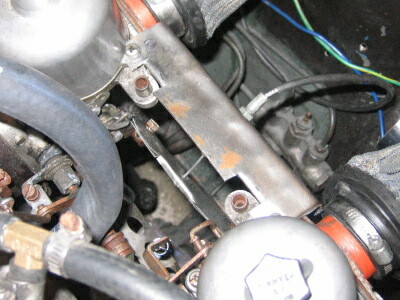 I ended up having to yank the radiator out again, pull the fan/pulley assembly, and unbolt the water pump. On the bright side, new water pump gaskets are only a dollar. 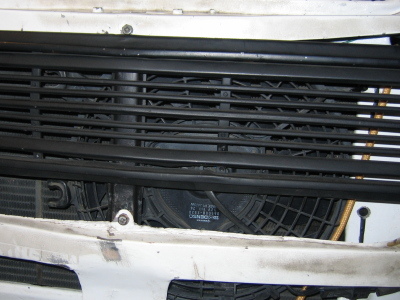 After getting the new gasket and applying the *correct* sealant, I put everything back together again, but I decided to leave belt-driven fan off the car, with plans to install a thermostatically controlled electric fan. That way, the fan is only in use when it needs to be. 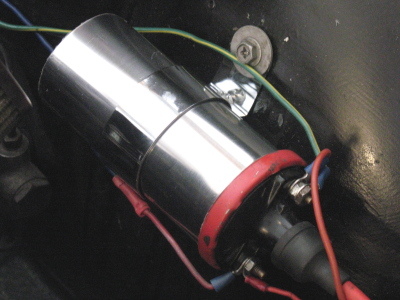 Also, I replaced the slave cylinder that I mentioned in my last 510 post, and am quite happy with the feel of it. I thought about rebuilding my slave cylinder after discovering that the issue is more likely a leaking plunger than the situation described in the previous 510 post, but given that it costs about $30 for a new one, I figured I'd get a new one and not concern myself too much with saving pennies. I think I have a few air pockets in the line, so I'll need to actually sit down and bleed it all out. 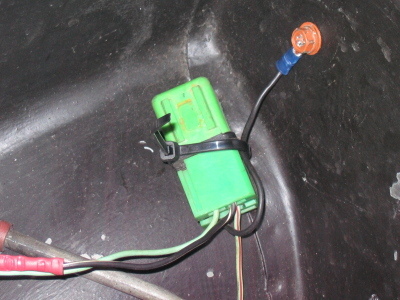 I have a mystery 5-plug O2 sensor, and because I didn't know anything about it, I also grabbed a single-wire sensor off a Nissan pickup with a Z24 engine and am currently using that. I do believe, however, that the mystery O2 sensor may be a wide-band sensor, so I'll probably throw that back in after I figure out the wiring. I picked up this O2 gauge for $30 from AutoZone. 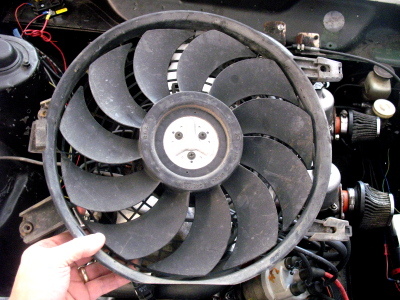 Here's the electric fan I found from a junkyard Geo Storm. Here's the fan installed in front of the radiator. There's just enough room for it to sit snug in there. There really wasn't any room for the fan behind the radiator - the stock radiator fan sat around the water-pump pulley, which was pretty close to the radiator. 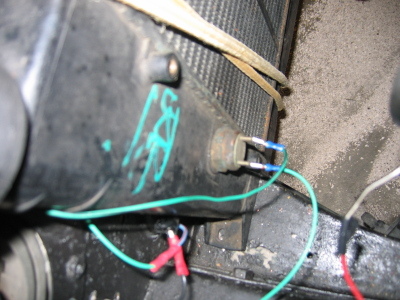 Here's the radiator temperature switch. Basically, it opens a connection between the two terminals when the temperature reaches 180F. When that connection opens, it completes the circuit that triggers the relay, which turns on the fan. 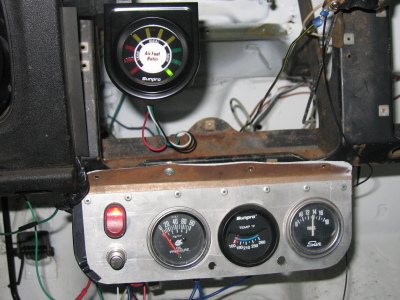 I'm running this directly from a powered terminal-box, because it allows the fan to run until the radiator is cooled down, even if the car is turned off. Here's the relay that I've got zip-tied to the strut-tower wall. I had to re-learn how to wire up the relay, and because the relay didn't have any numbers on it, I had to poke around at it with a spare battery and some alligator clips. 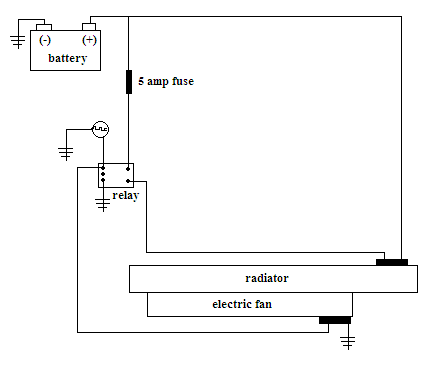 For folks that want to know how to wire up an electric fan to a radiator with a temperature switch, I put together this little diagram. Here's my new coil housing. It's smaller so it fits the smaller coil. This is considerably better than the brown-paper-bag-wrapped housing I had before. 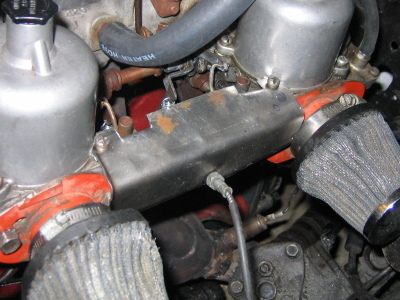 I fabricated a choke cable mount and seated it between two screws on the carbs. 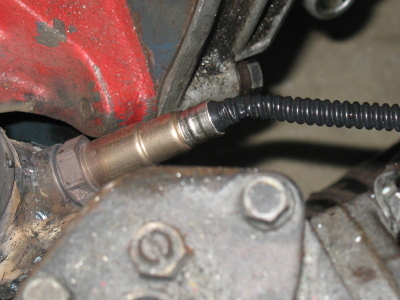 I also fabricated up a point for the cable to grab, allowing me to actuate the two chokes on the carbs. Fun fun. I recently learned that not filling up the dash pots with oil will cause the engine to lean out under heavy acceleration. Good thing I figured that out quickly, since the engine was pinging pretty badly there for a bit. Once I get the engine more finely tuned (with that wideband O2 sensor), I'll be comfortable driving it on the main road instead of just in my neighborhood. It's quite exciting to be this far along on my car.